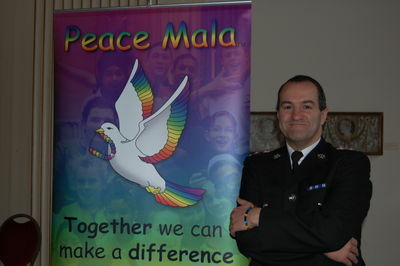 As the Divisional Commander of Swansea and Neath Port Talbot, I work very closely with the Community and Partnerships in this capacity and I am aware of the excellent work being undertaken by Peace Mala. I am fully aware of the dynamic and educationally innovative work undertaken by Peace Mala and the impact it has on the community in providing a valuable service to Swansea and the locality. Their enthusiasm in their work is commendable and I am aware of their involvement in engaging with schools, youth groups, and also with the Race and Multi Cultural society, including Asylum Seekers and Refugees. I wish Peace Mala every success for the future. 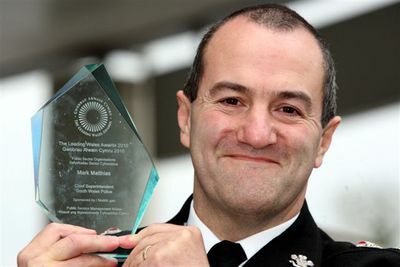 Chief Superintendent Mark Mathias is known as Swansea's 'top cop' and won a national award for Leadership in the Public Sector of the 2010 Leading Wales Awards ceremony in Cardiff. 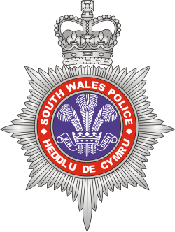 After receiving the award he said, "I am delighted and honoured to have won this award, but I must stress this achievement was very much a team effort which involved the dedication and loyalty of all my staff in the Western Division at Swansea and Neath Port Talbot, together with a number of partnerships across the area."